Shadows can be as important as light space in corporate photography. When creating this environmental portrait of an employee at a company that specializes in antimicrobial solutions, we used a two Speedlight setup to light the employee's face and then fall to dramatic shadow on his left side. 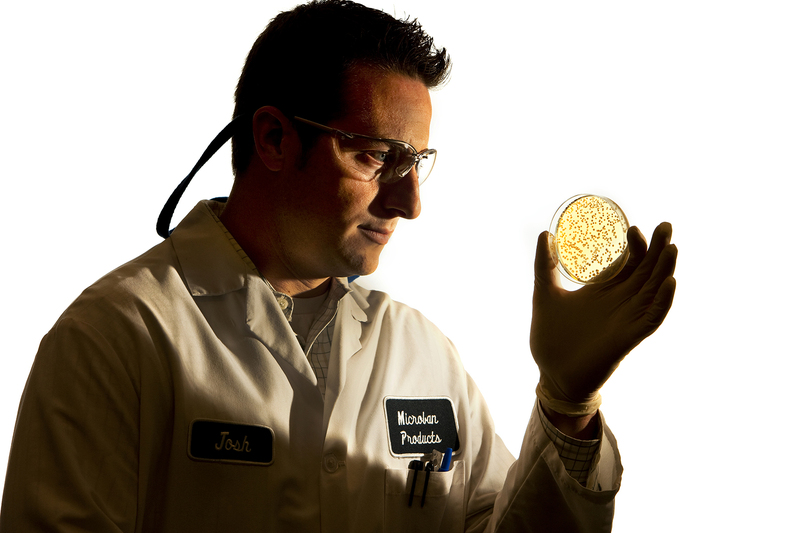 Working together, the light and shadow keep viewers focused on the employee's face, the spotted petri dish in his hand and the name of the company on his lab coat.